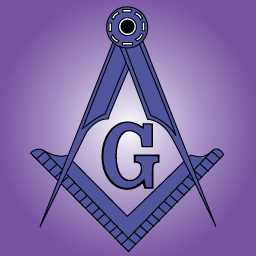 Today in Masonic History we discuss Grand Jurisdictions. Grand Jurisdictions is an organizational structure of Freemasonry. A Grand Jurisdiction is the area controlled by a Grand Lodge or a Grand Orient depending on the location of the Grand Jurisdiction. In 1717 the first Grand Lodge was formed by four lodges in London, England. A Grand Lodge or Grand Orient is responsible for the organization, governing policies and functioning of what are called subordinate lodges. These are often referred to as regular lodges particularly those associated with the United Grand Lodge of England (UGLE). When the four original lodges formed the first or Premiere Grand Lodge, they became what are called "time immemorial lodges." Time immemorial lodges are in the unique position to have variances from the normal constitutions of the UGLE. Only three of the original four lodges are still in existence. As new Grand Lodges and Grand Orients formed it became necessary for the Grand Jurisdictions to recognize each other. There are various levels of recognition between Grand Jurisdictions. The highest level of recognition is amity. When two Grand Jurisdictions seek to have amity it is generally the newer Grand Jurisdiction who petitions the older Grand Jurisdiction. Part of this process is the review of the landmarks and constitutions associated with each Grand Jurisdiction. The landmarks are not required to be identical. They are generally close in content. In the late 1800's a split came in the nature of Grand Jurisdictions particularly in Europe. The schism came when the Grand Orient of France (GOdF) changed their constitution removing references to the Grand Architect of the Universe (GAOTU). This caused the UGLE to break off amity with the GOdF causing two Grand Jurisdiction systems to be formed. The two systems were the Continental style and Anglo style. The Continental style models itself after the Grand Orient of France (Grand Orients), where the Anglo style models itself after the UGLE (Grand Lodges). There are countless Grand Jurisdictions around the world. All of them are self governed and recognize amity with other Grand Jurisdictions of their choosing. The one thing that all of them share in common is that for their Jurisdiction and subordinate lodges there is no higher authority. The decisions of any one Grand Jurisdiction are not necessarily shared by another.